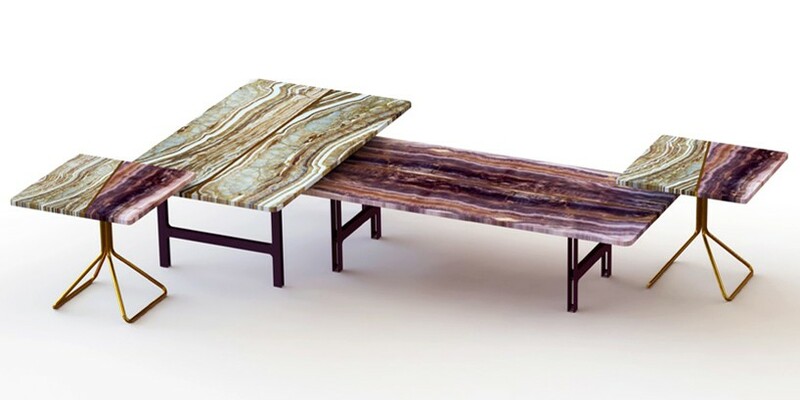 The ‘Split marble’ table by Francisco Meda is made up of two slabs of different marbles from the Italian Apuan Alps. 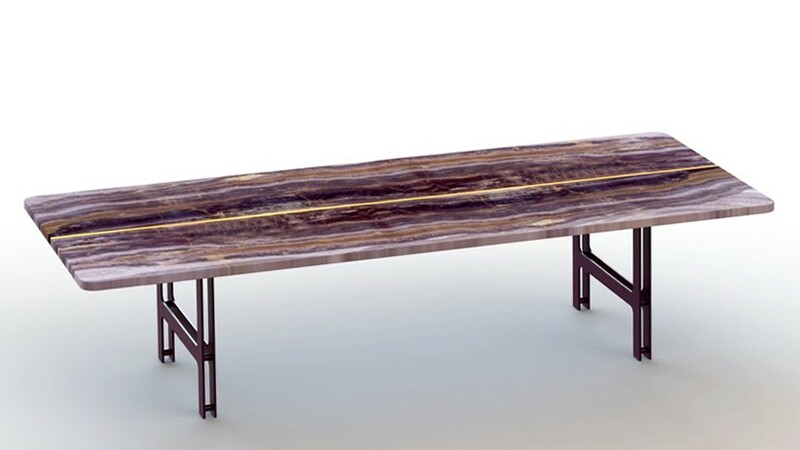 The furniture piece features two divided sections joined together by a polished brass profile. 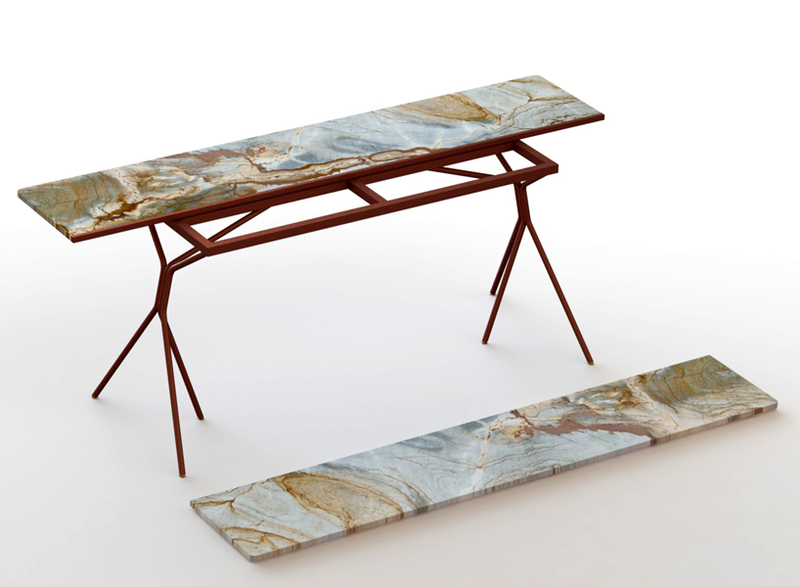 the connected parts use a river jade and blue Roma marble. 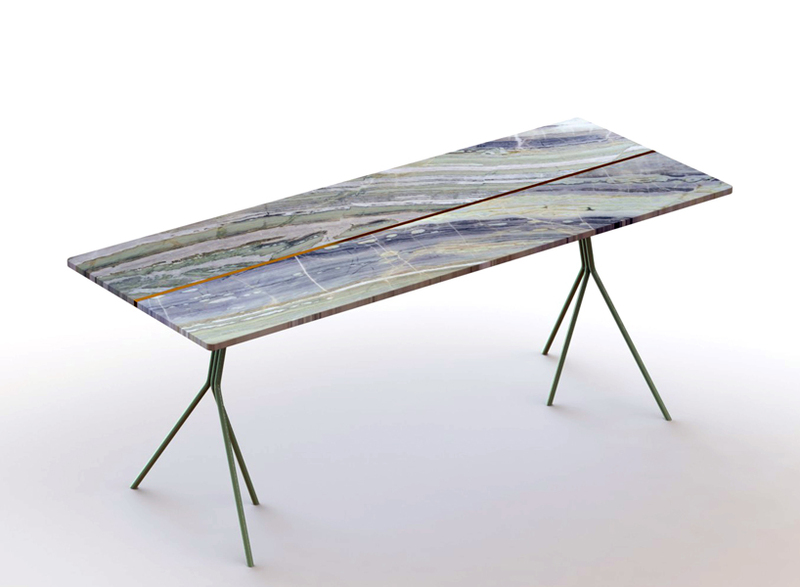 the lower part of the 18 mm thick stone is coated in resin – to ensure a more prominent appearance of the marbles veins. 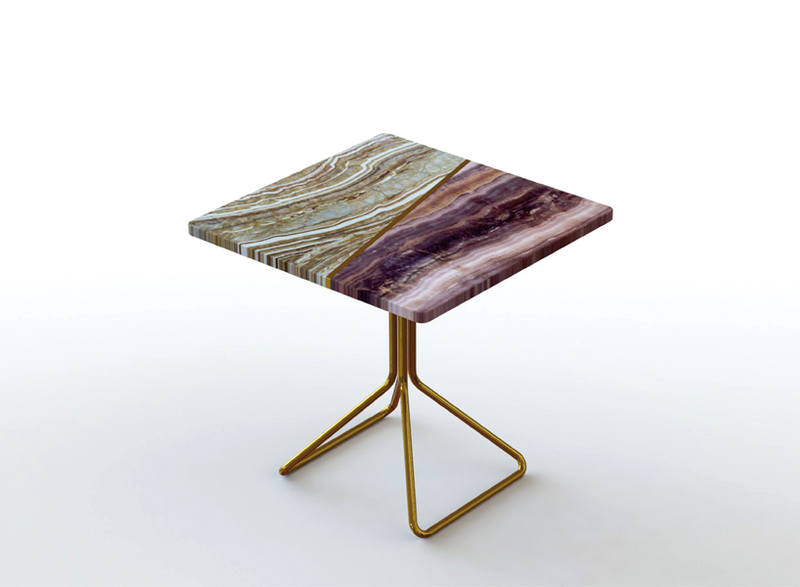 the surface reveals the intricate layers contained within the material, revealing the process of metamorphism caused by the re-crystallization of original carbonate mineral grains. 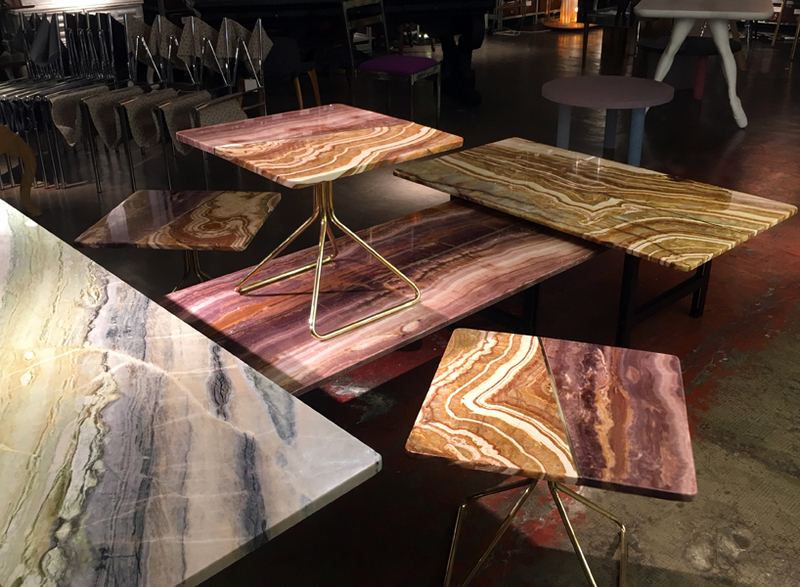 Presented at Rossana Orlandi gallery during Milan design week 2016, the ‘Split table’ was accompanied by a series of coffee tables. the 50 cm x 50 cm modules were intentionally created to form a number of compositions. 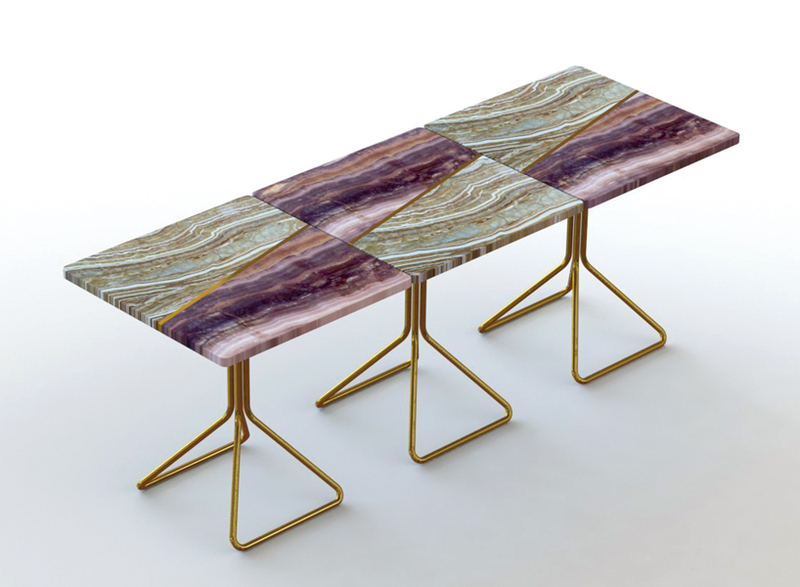 the tops are made of onyx violet and onyx tiger paired together by a brass profile. 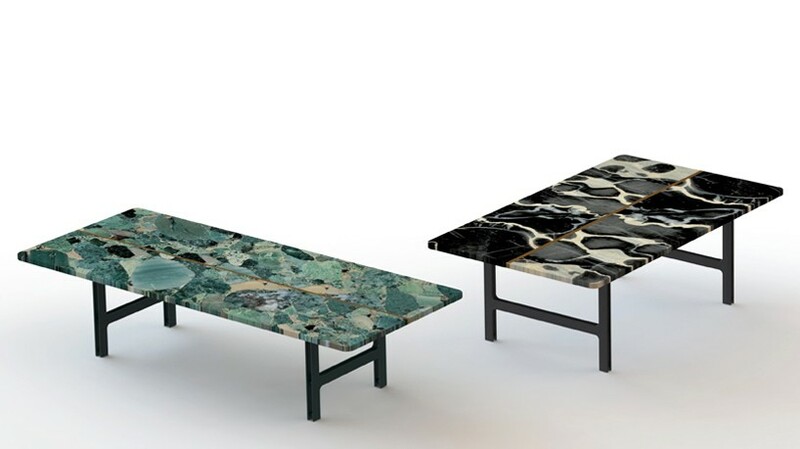 the aesthetic of the legs are deliberately lightweight and rational to enhance the slab of marble which is the dominant material in the design.